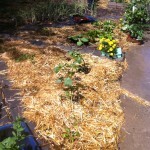 Well, actually it just looks like one exploded all over the yard. 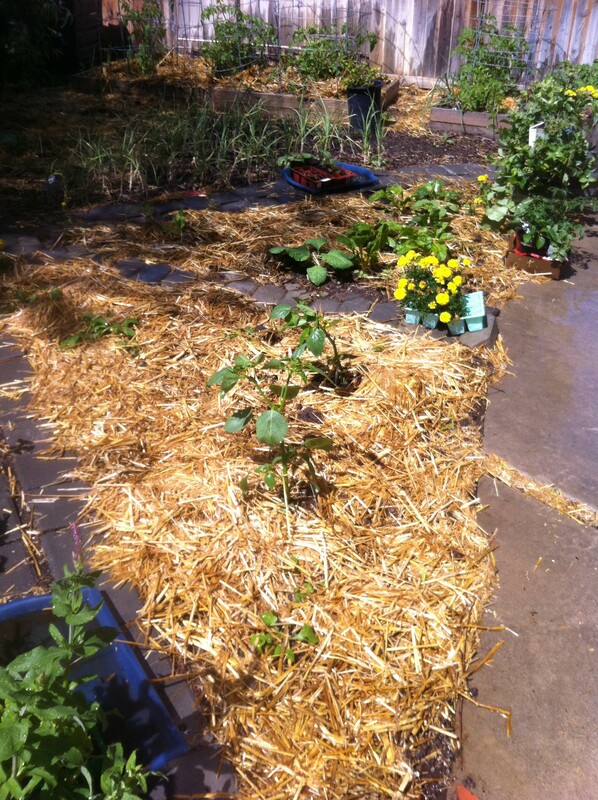 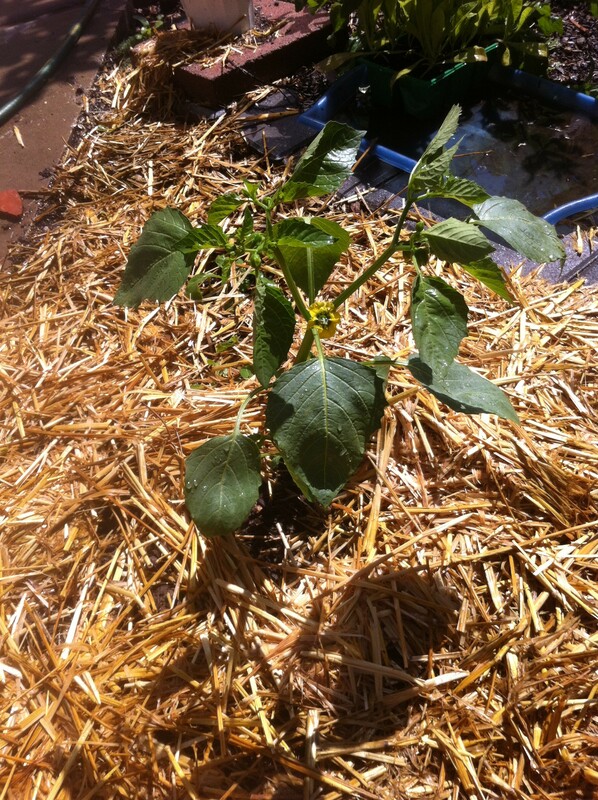 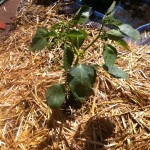 Straw bales are one of my favorite mulches as they are inexpensive and one of the best for hilling up potatoes. 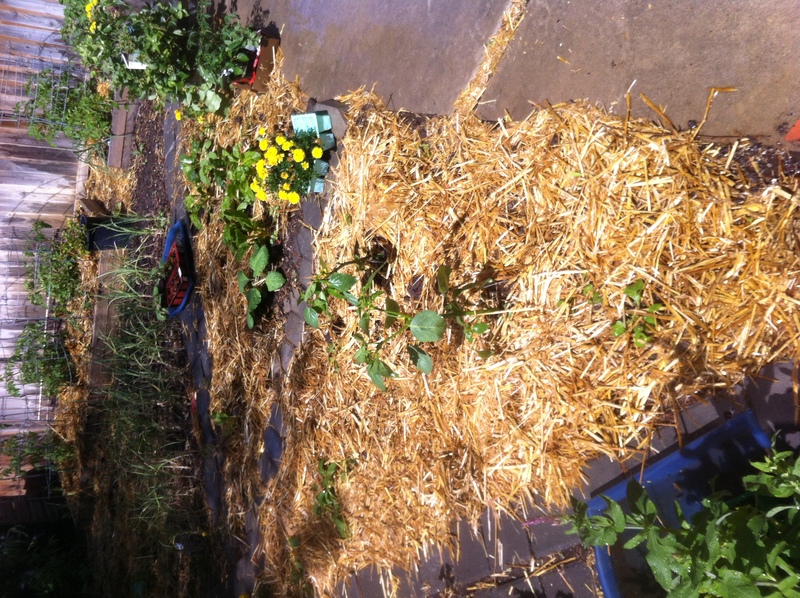 Today, however, the straw was spread over newly seeded beds of greens, butternut squash, tomatillos, and garlic. 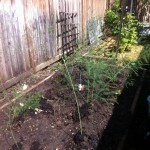 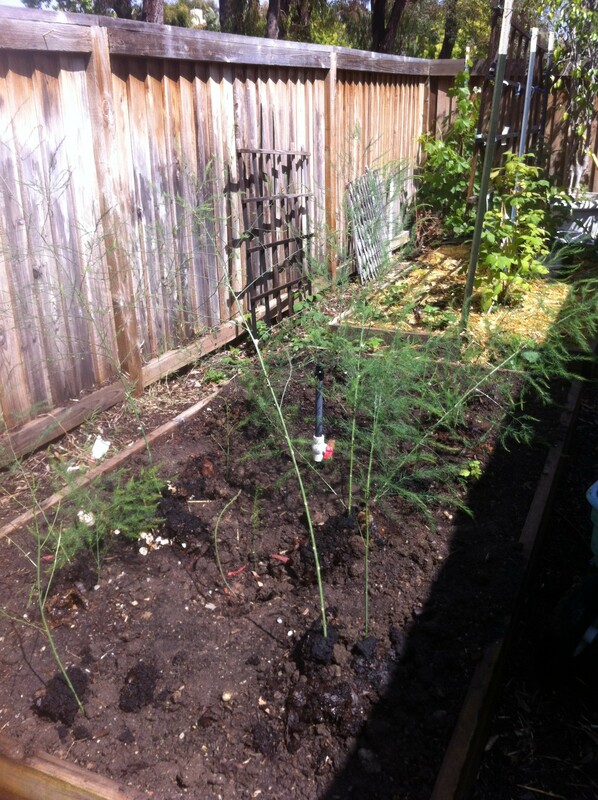 The tomatoes also received fresh mulch and the asparagus received worm castings. 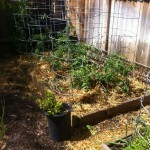 In another part of the yard I added the other two sisters to the already planted squash: corn and pole beans. 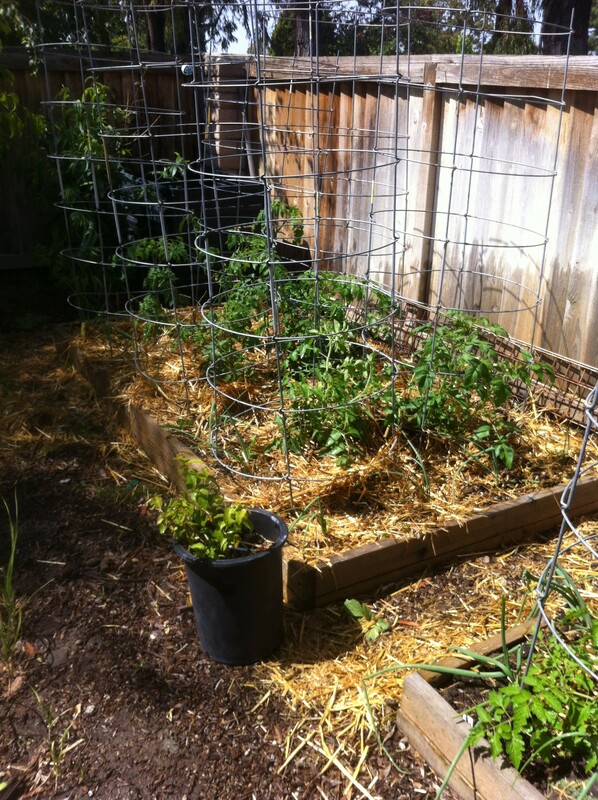 I also weeded the side yard and tossed a bunch of greens to the chickens which were happy to receive them.